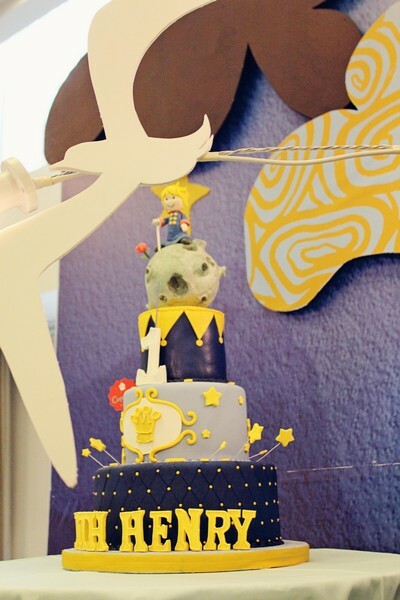 Ever since we did our very first Little Prince party last year (see here for the post), we have been receiving requests to style parties with this theme in mind. And why not? When our first client, Erika, came to us with this idea, I was instantly in love. Think about it. This is the book that we all grew up with, that talks about the royal child, whose travels brought him to meet fantastical things such as the wise fox, the king, a conceited man, and even a land of forty-four sunsets! 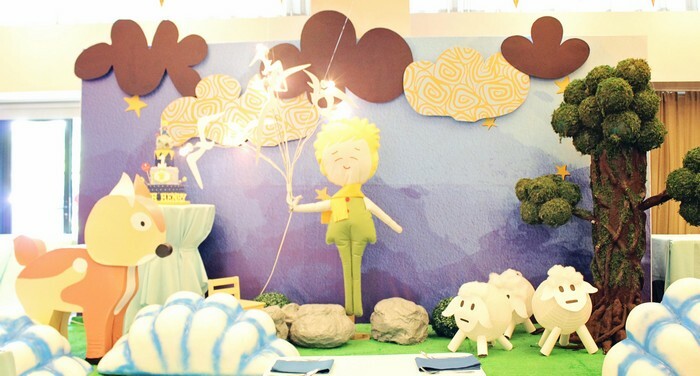 Little Prince is arguably one of the best themes for a styled party. Although it is character-based, the character is not as overused as Mickey or Minnie Mouse. It’s visually impressionable, nostalgic, and even romantic. 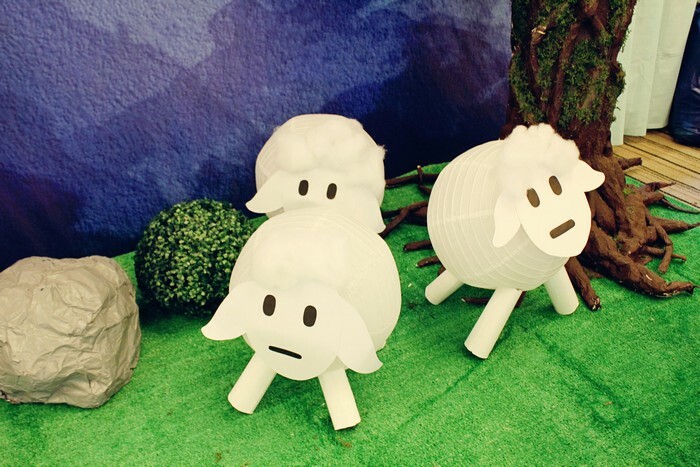 Most of all, every little element that you can place in your party (such as the rose, stars, asteroids, the sheep, the baobab tree, etc. ), carries a deeper and philosophical meaning. 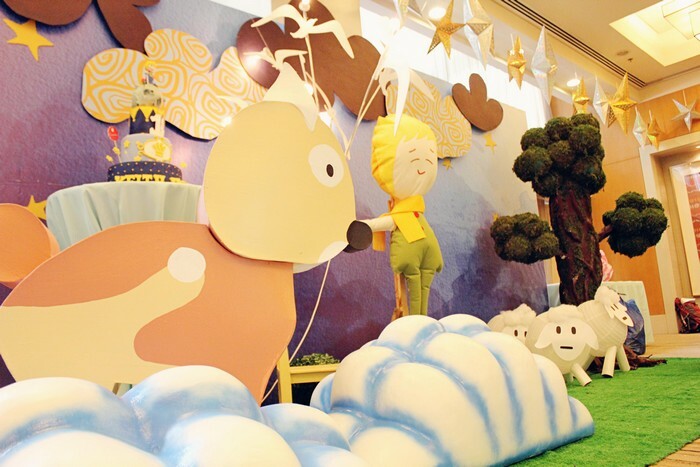 Alongside the Little Prince are all of his friends: the fox, the sheep, asteroids, and even the famous baobab tree! 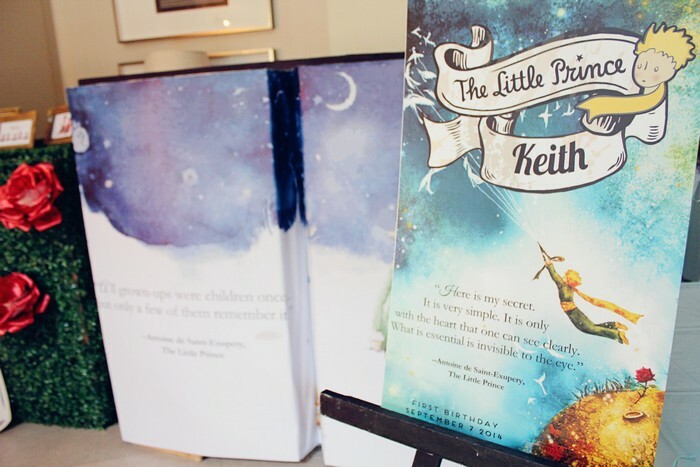 Our new version of the Little Prince is the cutest! 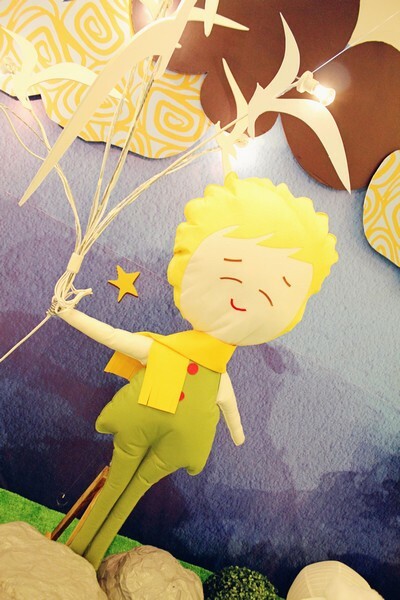 It’s a huge stuffed toy, personally created by our Party Magic team! Isn’t he so huggable? Another favorite of mine in the party was the entrance set-up. Take a look! 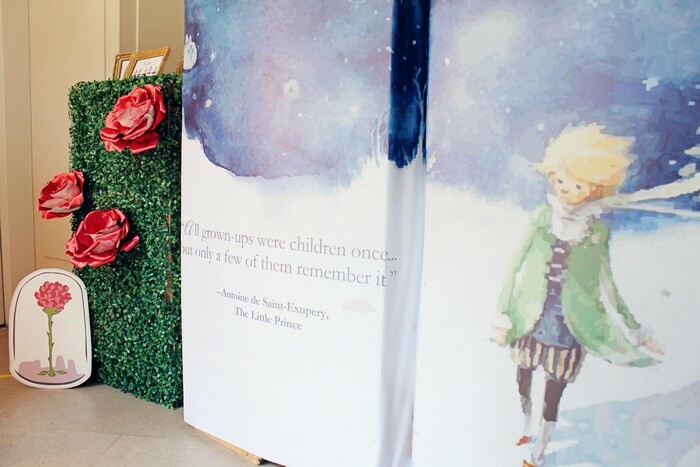 For left hand side of the entrance, we had a photo-op platform framed by a backdrop with Little Prince artwork and quotation. The quote reads, “It is the time you have wasted for your rose that makes your rose so important.” The platform is bordered by a life-sized version of the Little Prince book itself! The set-up was so enticing that even passersby couldn’t help but step on the platform and have their pictures taken! The open book reads what I think touches on one of the most important points of the book: “All grown ups were children once, but only a few of them remember it.” Children are most special by the twinkle of their eyes as they see the world for the first time. Off to the side is the famous rose garden that the Little Prince discovered during his stay on Earth, and on the ground, the Little Prince’s beloved rose. 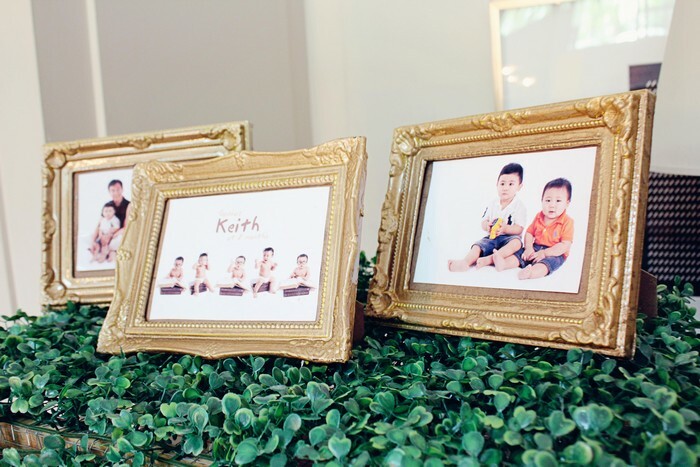 The rose garden was adorned with even more precious items: Keith Henry’s photos! 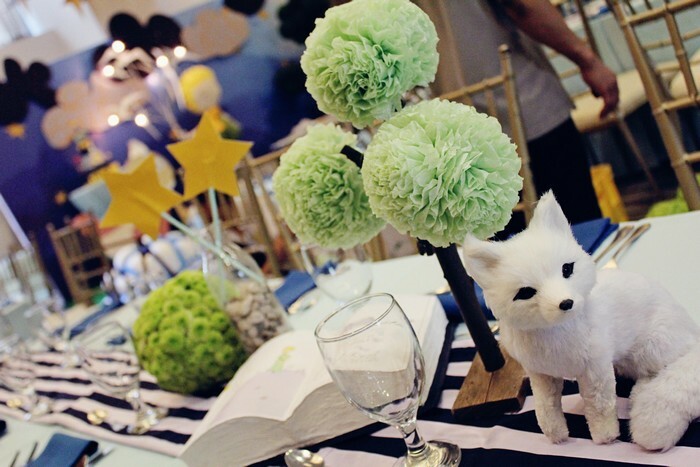 Above is another centerpiece set, this time with a white fox! 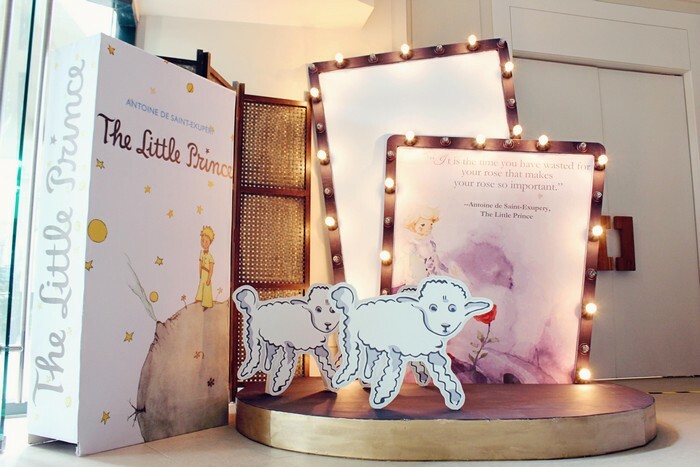 In the end, The Little Prince is all about the innocence of children. Sometimes, we are all caught up with our own worries that we forget that the most important things in our lives are the simple things. 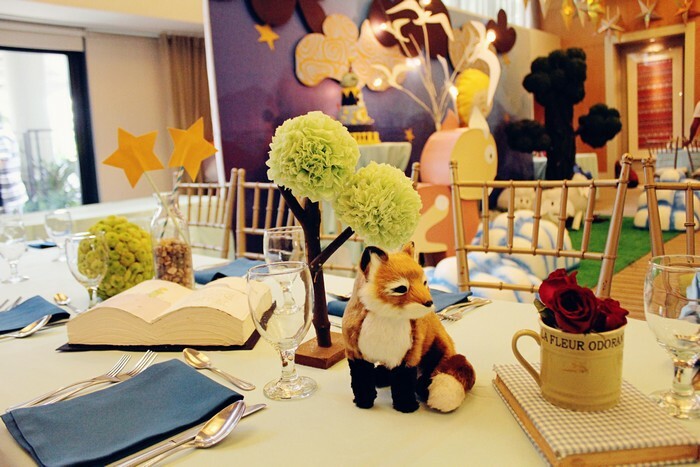 The whole point of our work, in this party as well as in every other party that we do, was to create a styling so well done that even adults feel the like children once again. I hope that we are successful with this for our future parties to come! 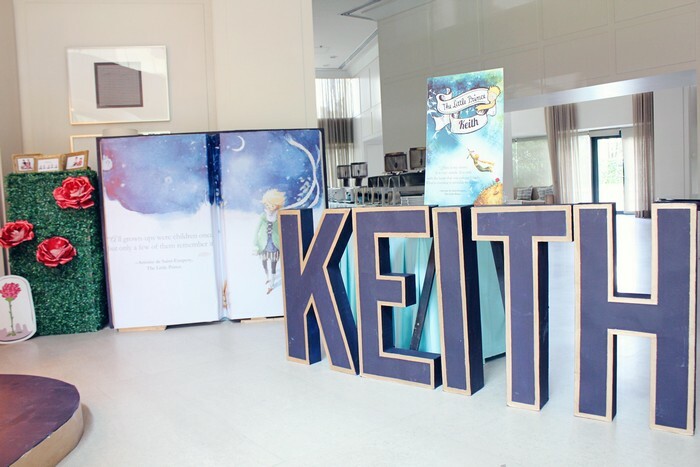 Cheers to the cutest Little Prince of all, Keith Henry!